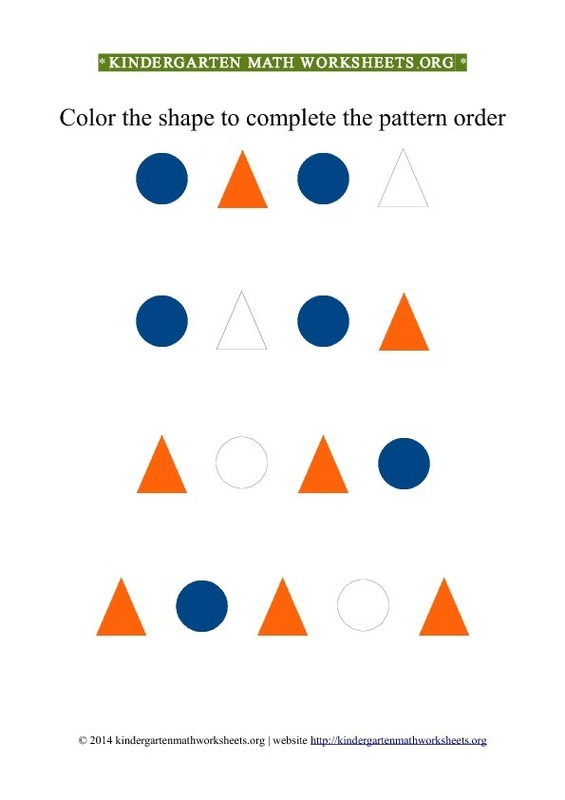 Color the shape patterns with triangles and circles for kindergarten. Pattern recognition worksheets available in pdf printable format. Pattern and shape recognition skills is important in early education. This worksheet for kindergarten with triangles and circles will help your students get better at understanding shapes and pattern order. Description of worksheet activity: This worksheet contains 4 rows of triangles and circles. A shape must be colored on each row to match with the shape color pattern order. This free printable kindergarten worksheet with triangles and circles is created specially for shape recognition skills. Kindergarten Color Patterns Triangles Circles.